When I moved to Denmark two years ago, one of the first things I did was try to find places to shop that were close to what I was used to back home. I tracked down a Sephora, found a substitute for the dollar store, stumbled upon some reliable thrift stores, and all that good stuff. 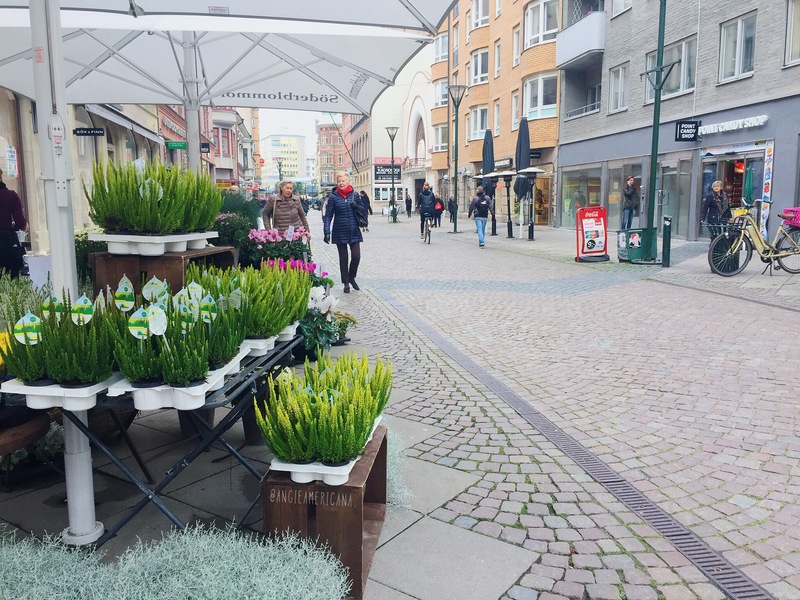 After a few months, I felt like I could find what I wanted in Copenhagen…for the most part. Then one day, I was in desperate need of a good face mask, and immediately realized that I had no idea where the Lush store was. I turned to google for answers. I figured that there was one in the city center, and I just missed it somehow. I mean, come on. Copenhagen is the capital of Denmark. There just had to be a Lush here somewhere. Right? RIIIIIIIIGHT???!? We had to go to Sweden. 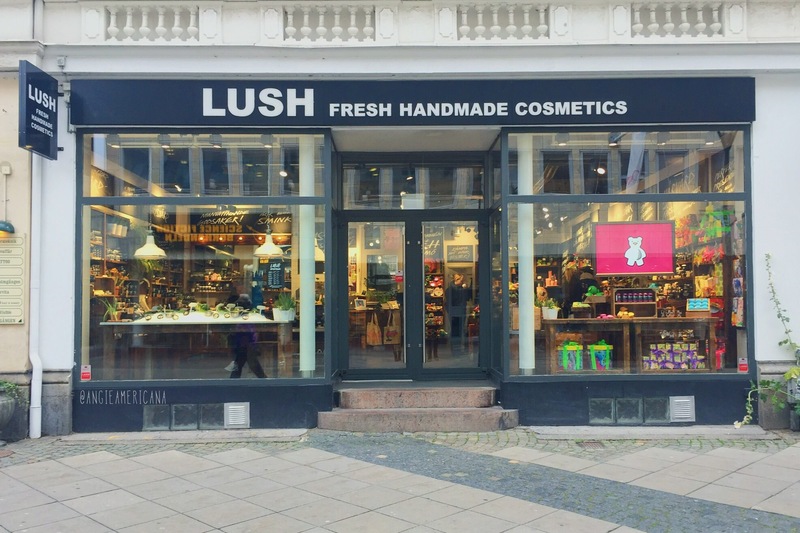 The closest Lush store is located in Malmö, Sweden which is just a short train ride over the Øresund Bridge. I was off from work during the week of Fall Break, and the Viking had taken a day off just because, so we decided to hop the train and make our way to Sweden! Anyway! 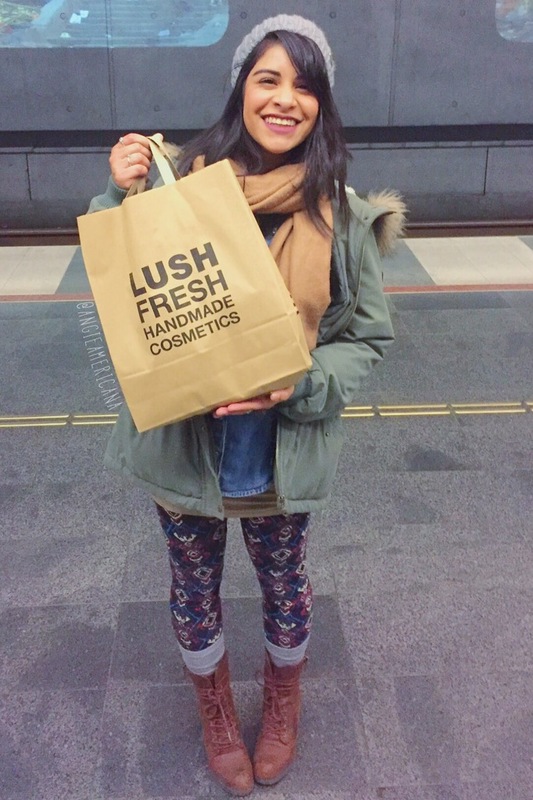 After a truly delicious lunch, we took a short walk to the Lush store! It’s been a long while since I’ve been in a Lush, so I had to just take a second to take it all in. I forgot how amazing it smells in there, so I stood there for a good 30 seconds just breathing in the magic and thinking about how lucky I was back in Philadelphia. 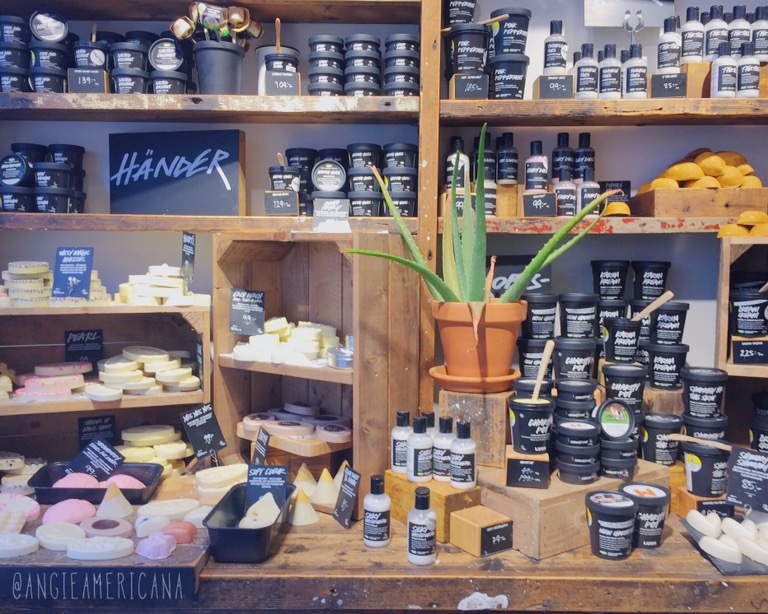 The store I worked at was just a block or so away from the Lush store, and I always took it for granted. I’m never going to take this beautiful store for granted ever again. I grabbed a basket and started dipping into all of the samples. Who knows when I would have a free afternoon to come back to Sweden, so I was going to make this count. I couldn’t believe that I had been living without Lush products for almost 2 whole years. Literally my idea of heaven. The Viking was super patient with me. I was sniffing and sampling pretty much everything, and he didn’t complain once. He’s not really much for shopping in general, but shopping for bath and body stuff is just extra boring for the poor guy. Bless his heart for letting me frolic through Lush like some delusional Disney princess. But we came here with a specific goal in mind: bath bombs for the Mini Dude. Time to focus, Angie. We don’t have a bath tub in our Copenhagen apartment, and it was very clear that I was attempting to live vicariously through a 4 year old. 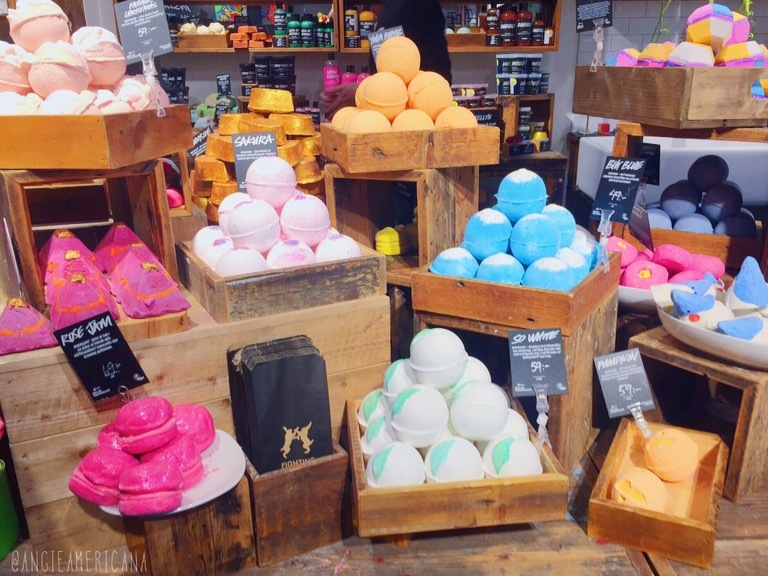 I piled about 10 bath bombs into the basket and eagerly tried to continue adding more. The Viking grabbed my arm and told me that it was way too much. I tried to argue, but he was right. No 4 year old needs 10 bath bombs. So I left at 5 and called it a day. I can’t for the life of me remember which 5 bath bombs we got the Mini Dude, but I’m pretty sure he’s going to have a life long obsession with Lush bath bombs. And it’s 100% my fault. 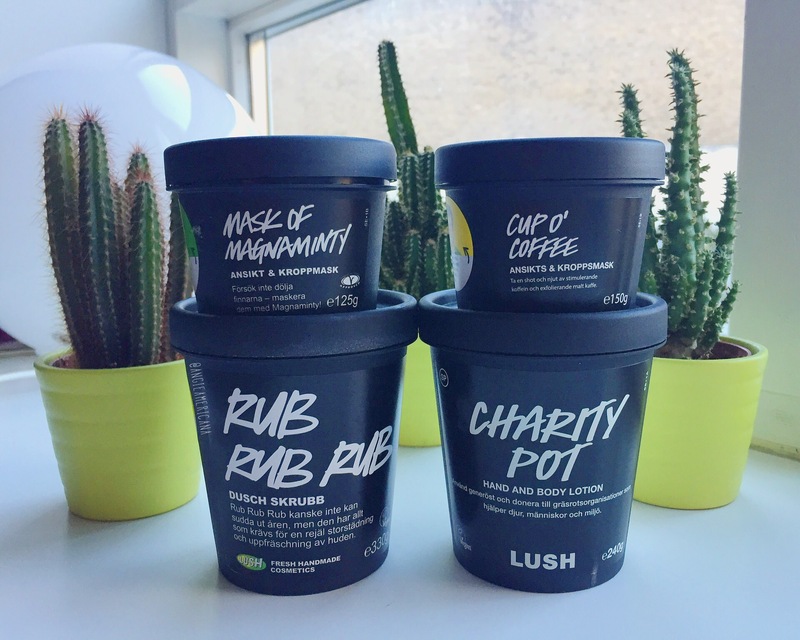 First Lush purchase in 2 years! Of course, I couldn’t leave Lush without a little something for myself. I picked up two face masks (Mask of Magnaminty and Cup O’ Coffee), a shower scrub (Rub Rub Rub), and my all-time favorite lotion ever (Charity Pot). I finally have my beloved Lush products, and that makes me one happy panda! I know it’s such a blogger cliche to be obsessed with Lush, but I definitely took my obsession one step further by traveling to another country just to get my fix. It was 100% worth it, but I think I’ll take advantage of online ordering for a bit before I go back. 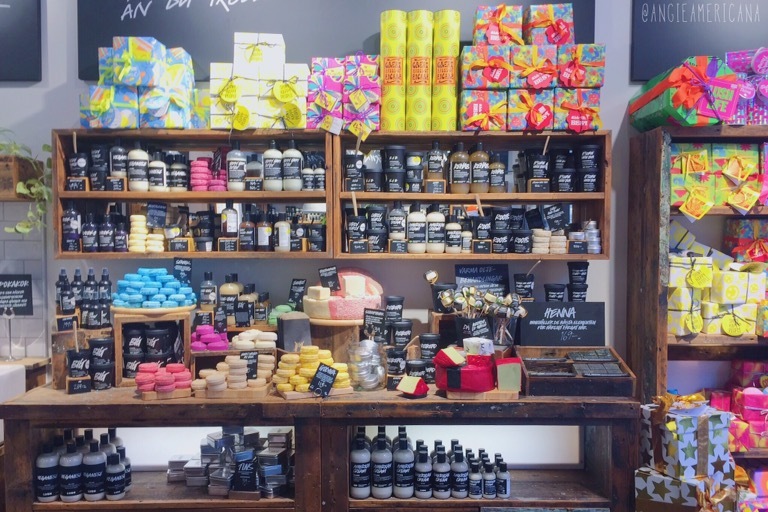 Would you go to another country with the sole purpose of hitting up the Lush store? Or am I just extra crazy? ?